Open-world action-adventure and survival game Days Gone is coming out in less than two weeks and it looks like the day-one patch and install size have been revealed. The details were spotted first on German website Playfront, as reported by Comicbook. While the installation size of the game is around 67 GB, you will be able to start playing the game at about 27 GB. The day one patch fixes small bugs and there could be another patch update on the way. 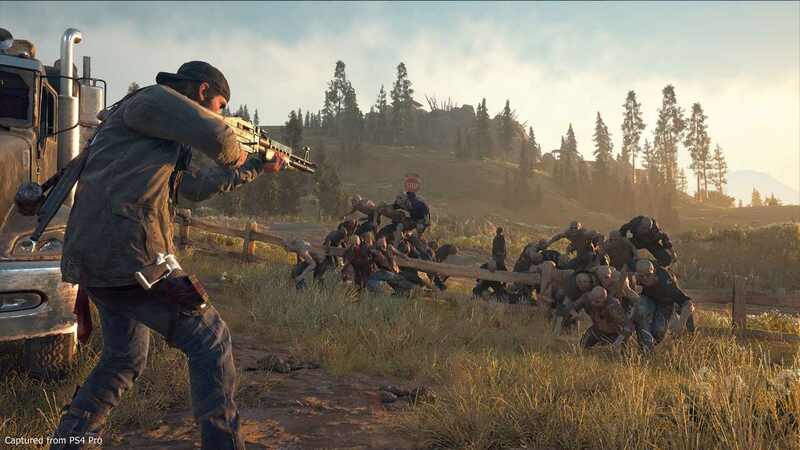 Days Gone is a PS4 exclusive. Days Gone is set in a post-apocalyptic world where humanity is on the brink of destruction from a global pandemic. The pandemic has resulted in, you guessed it: zombies, and they are called ‘Freakers’ here. And these fast-moving freaks won’t stop at anything to get a piece of you, literally. As with any survival game, your objective is to survive while gathering equipment to craft weapons and useful items. You will be playing as former outlaw biker Deacon St. John travelling across the Pacific Northwest high-desert. Days Gone will be exclusively released on the PlayStation 4 on April 26.